I have been a full time Pilates teacher for 12 years - I am trained in both Pilates mat work and a wide range of large Studio Equipment - I am one of the most highly trained and experienced Pilates teachers in the South West. I began training in 2005 with the Pilates Institute London on the Comprehensive Pilates mat work and equipment diploma. I became a member of the Body Control Pilates Association in 2014. I took their Pilates Conversion Course for existing Pilates teachers and have studied for my Pilates level 4 qualification, Back4Good, Childrens Pilates, Exercise Referral and am working towards my Studio Master Certificate and my Mat Masters Certificate. Body Control Pilates as an organisation requires its members to continue to develop professionally by taking regular courses to maintain their membership status. This is equivalent to roughly 2 professional course per year. 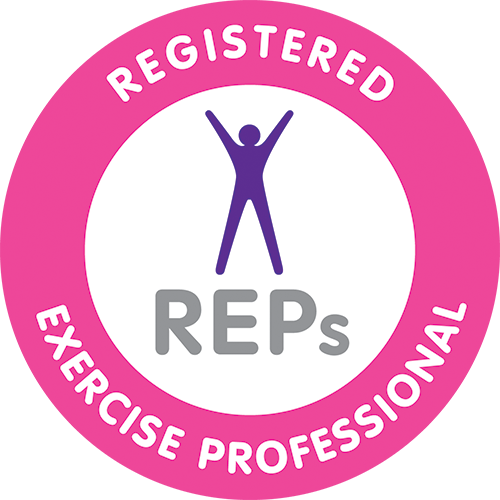 Body Control Pilates is also one of the only Pilates Education providers recognised by the Register of Exercise Professionals REPS.
A little history...........I was born and raised in Devon. I went away to University then travelled and lived in Australia for 3 years - it was in Melbourne Australia that I first discovered and fell in love with Pilates. I returned to Devon, settled in Exeter, trained to be a Pilates teacher and I have now been teaching in the local area for 15 years . I had a history of back and hip problems and spent a fortune on Chiropractic and Osteopathic treatment with no lasting benefit. I decided try Pilates after reading that it was great for people with bad backs I gave it a try and became a Pilates devotee straight away. Pilates really worked for me - my back pain was resolved, my posture improved, I felt fit, healthy and strong - I felt like a new woman! I was so impressed with the results that I decided to train to be a Pilates teacher and help other people to enjoy the many benefits and improved quality of life that practising Pilates brings. I am also a fully qualified Spinal Touch practitioner having discovered the fantastic benefits of this gentle yet powerful non invasive muscular skeletal treatment. I have had fantastic success treating people with various problems - see my Spinal touch page for more details of this effective treatment.